Need to stock up on wipes for your toddler? 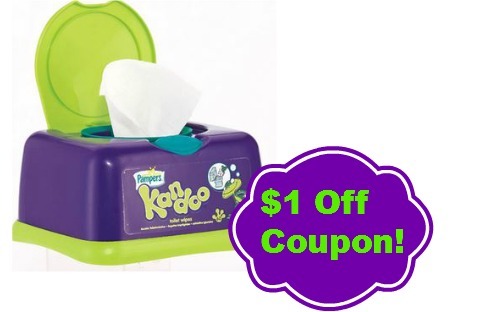 Make sure to print the new $1 off Kandoo Wipes coupon for some great deals. These wipes are great to have on hand, and you can get them for as low as 65¢! Don’t wait to print your coupon because it won’t last long. Don’t see the coupon? Look under the Baby & Toddler category and use the zip code 12345.